Oracle and IBM intend to drive Java innovations. Oracle initiated a call to IBM to discuss collaboration efforts around Java. As a result, Oracle and IBM intend to allow developers and customers to build and innovate based on Java investments and the OpenJDK reference implementation. 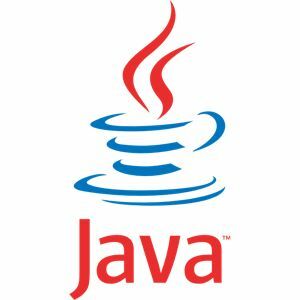 Both tech giants agreed to reiterate their commitment to the Java Community Process (JCP) as the official standards body. The scope of the alliance includes the OpenJDK project, the open source implementation of the Java Platform, Standard Edition (Java SE) specification, the Java Language, the Java Development Kit (JDK), and Java Runtime Environment (JRE). Point of View (POV): As fierce competitors and close partners, the largest research and development investors in Java have agreed to jointly collaborate and develop Java SE. Both Oracle’s “Red Stack” and IBM’s “Blue Stack”depend on Java for success. The result – Java developers and customers gain stability and confidence that the future of Java remains secure. Rivals can expect an Oracle IBM alliance to drive innovations in web apps, cloud standards, and mobile innovations. Oracle’s acquisition of Sun left many Java watchers uncertain about the future of Java. In some ways, today’s olive branch announcement is akin to “Mideast Peace” and allows the Java ecosystem to thrive and compete head on with Microsoft’s .NET ecosystem. With the Java and .NET wars moving into the cloud, mobile, and appliance market, today’s announcement shows common sense and logic remains paramount among even the fiercest of rivals.